The National Revenue Authority (NRA) has ended a two days workshop on Customs Regulation at the Mrs Theresa Sesay Hall, Kenndy Street in Freetown. The Workshop started on Thursday 12th July and ended on Friday 13th July 2018. 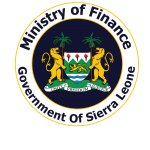 The program was sponsored by the Public Financial Management Improvement and Consolidation Project (PFMICP) in the Ministry of Finance (MOF) through funds donated by the World Bank. · To simplify the custom clearance process and procedures. In his remarks Senior Assistant Secretary Abu Bakarr Conteh of the Revenue and Tax Policy Division in the Ministry of Finance told PFMICP IECMO that the stakeholder validation workshop for the Custom tariff Act of 2011 is a welcome idea as the Ministry of Finance is fully in support of this move by the Custom Service Department of the NRA to have a regulation . Mr Conteh noted that the Ministry of Finance believed that regulation will go a long way in improving compliance and it will give a clear picture of what is contained in the Custom Regulation Act in 2011. He went on to say that the Regulation is a summary of the Act and since most people will find it difficult to go through the Act line by line, the regulation will provide people a fair knowledge of what is in the Act. He maintained that stakeholders of the workshop are highly welcomed while expressing hope that they benefit immensely from the presentations and be in a better position to put it in practice. He added that the participants are important as custom cannot operate in isolation and stated that they are expecting the participants to fully participate during the workshop. Mr Abu Bakarr Conteh, of the Revenue and Tax Policy Division in the Ministry of Finance, made it clear that the regulations will be taken to Parliament by the Minister of Finance , noting that since it is a regulation and not an Act, it will not be debated in Parliament but will be laid in Parliament for a period of twenty one days so if there is no opposition to the provisions in the regulations then it automatically becomes a law. He maintained that the regulation is like a statutory instrument and said it will not take too long for the regulation to become a law once they have agreed on the provisions. He said the Ministry of Finance is with the view that the workshop is very crucial to custom operations. In his remarks Director of Research in the National Revenue Authority (NRA) Dr Philip Kargbo first of all welcomed the participants to the workshop which was organized to validate the customs regulation of 2011. He added that participants are relevant to the custom Clearance process therefore it is very important for them to participate in the validation workshop to make their input. The Director of Research noted that there is a difference between an Act and a regulation stating that the Act is what is passed by parliament after going through Cabinet, Law Officers Department and goes to Parliament and debated before it becomes a law. He further stated that the Act only has broad provisions of certain areas but does not explain in detail how these provisions are to be implemented making it clear that is how the regulations come in. Dr. Kargbo explained that the Custom Act was enacted since 2011, but also developed some regulations which explained how the Act should be implemented and make the work very easy for customs and the stakeholders that are also involved in the clearance processes. He reiterated that the regulations will not be debated by Parliament and the regulations as drafted will go to Cabinet for them to endorse after which it will go to law Officer’s Department and will be laid in Parliament for twenty one days and if there is no opposition to the documents then it becomes a regulation Act. He highlighted that since they had the Customs Act of 2011, they have some regulations s drafted for some sections of the Act, stating that but there are some part of the Customs Act that never had regulations to actually explain the implementation. Dr. Kargbo pointed out that one or two regulations was added to the customs Act, which made them approach the World Bank to actually help the NRA develop some aspect of the Act that do not have regulations and also consolidate the existing regulation plus the new regulations to have a consolidated customs regulations which is the document that should be validated by the stakeholders. He expressed hope that the workshop deliberations will be interactive, productive and will be to the interest of trade participation and improvement of compliance in the clearance process.